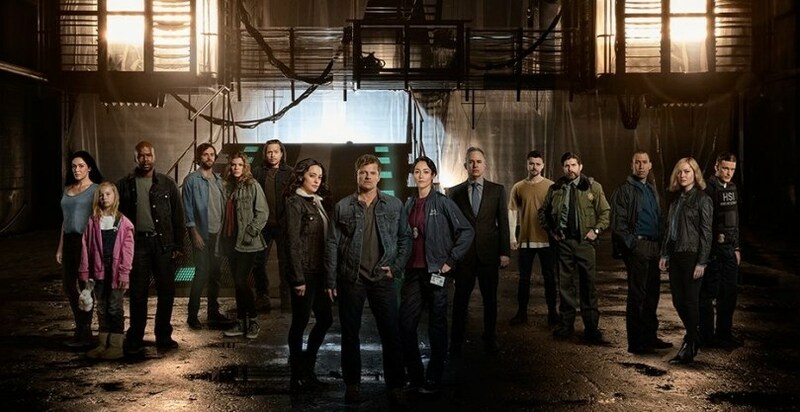 Every time there’s a new sci-fi show, I want to believe it’ll be the next great sci-fi show. The next Star Trek, X-Files, or Fringe. But all too often, we instead get Revolution, Resurrection, Minority Report, or Almost Human. All shows that seemed to hold promise, but ultimately fail in execution. The newest show added to that list of let-downs is ABC’s The Crossing. The show is built around a small Northwestern town where refugees mysteriously appear in their waters. After spending a lengthy amount of time trying to shroud where they are from, it is revealed that they are from 180 years in the future and are escaping a world where things have gone horribly wrong. In this future, genetic engineering that was used to eradicate diseases and certain gene markers has also created advanced humans, called Apex. And now, the Apex are making life hell for their inferior versions. The catch, if all of that wasn’t enough, is that they aren’t the first group to make the trip through time. And these prior travelers have plans to alter history. For a sci-fi loving, suspense entertainment addicted, serial TV watcher like me, opting in for a show like this is pretty much a given. I mean, I watched Flash Forward until the wheels fell off. So I loaded this series into my DVR a full week ahead of time. But the minute those refugees started to be pulled from the ocean, my interest immediately began to wane. The show is plagued with a series of shortcomings. First, the show alludes to what the world looks like in the future with the refugees’ disgust over our meat coming from “real animals” and a child having no idea what the Bible is. Apparently, humans have revolutionized the very concept of eating and erased all knowledge of one of the world’s biggest religions. It’s not the most creative take on the future (and pretty lazy execution), but that is standard for most network TV. Still, the fatal flaw of the show is the part that is supposed to make it so appealing: the future refugees themselves. I watched The Crossing with the “race” question hanging over my head. Would this show accurately reflect what America’s racial makeup would be 180 years into our future? By 2060, white people are already projected to make up less than 50% of America’s population. Just imagine how things might look by 2198. Will white people even still be a thing? Yet, The Crossing‘s cast of refugees is almost exclusively white. Outside of one Black man married to a white woman and a woman who appears to be of Latin descent, everyone else pulled from the water appears to be Nordic white. And this trope of ever-enduring whiteness has plagued the sci-fi genre for far too long. It’s why nearly every captain of a Star Trek series has been white. It’s why Luke and Leia’s names are synonymous with Star Wars. Think of almost any sci-fi or future-set entertainment vehicle, and you’ll find a cast of mostly white characters usually led by a white person. The entertainment industry’s preoccupation with producing whitewashed futures becomes more and more troubling as that concept drifts infinitesimally further from reality. Sci-fi is supposed to be about much more than time machines, ray guns, and alien races. Sci-fi is supposed to give us visions of a possible future. It’s supposed to inspire us to dream big and fill us full of wonder about the possibilities of the universe. But for far too long, it has fallen short of that standard. And I, for one, am tired of accepting sub-par. These portrayals only feed into a fantasy of inherent white supremacy. They send a message to the world that no matter how much time passes or what surprises await us in the future, whiteness will always be there in the forefront, in power, and prioritized over everyone else. Moreover, it supports the idea that the only images that the general public can identify with are white. It’s for that reason, above all others, that The Crossing is a non-starter.